Summer is here, and that means more opportunities for dehydration and sun damage. If you want to look your best this summer, check out these 3 tips to help your skin glow all summer long. Hydration is the number one way to get your skin to look youthful and refreshed. With hot weather, however, it can be easy to underdo it when it comes to drinking enough water. Sweating causes a loss of water and electrolytes, which can lead to dehydration, muscle cramps, and fine lines. Sugary sports drinks aren’t the best way to hydrate because sugar can actually make you thirstier. Instead, choose nature’s electrolyte sources such as pure coconut water or powdered beetroot drink mixes in water. These will give you the vital hydration you need to look and feel your best. Tanning beds and exposure to the sun are known to cause an aggressive form of skin cancer called melanoma. To lower this risk, limit your sun exposure, use an SPF 50 sunscreen, and get a glowing tan using sunless tanning products. Mousses and lotions seem to work best when applied with a glove or mitt. Be sure to shave and exfoliate prior to application to get the most even-looking results. Another great option is to get a spray tan from a professional salon. Warning: Using retinoid-based products will make your skin more sensitive to the sun. This can completely undo the beautiful results that retinol can produce. To avoid this, be sure to use retinoid products at night when your skin is in “repair mode”. Again, use SPF 50 on your face to avoid sun damage. Reapply as directed to maintain protection. 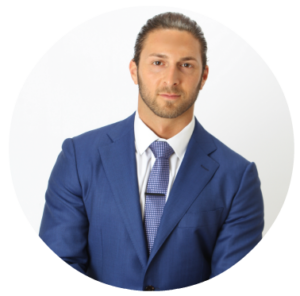 My name is James Christian Sardelli and I am an RPA-C in New York with over 10 years of experiencing injecting clients with Botox and fillers. I am also a certified provider of the Vampire Facelift / Facial. See for yourself what these and my other treatments can do for you! You can call or text my Cosmetic Concierge line 24/7 at (917) 860-3113. I have multiple locations throughout Manhattan and Long Island including NYC, Commack, West Sayville, Babylon Village, Westhampton Beach, Farmingdale, and Rockville Centre. *Botox is a registered trademark of Allergan, Inc. The Vampire Facelift and Vampire Facial are registered trademarks of Charles Runels, MD.